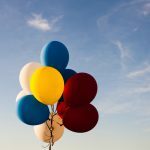 A round-up of the week’s articles on DEATH.io, interesting stuff we’ve found on the internet, and what we’ve been watching, reading or listening to. We’re not just living longer, we’re also expected to work for longer. But will the traditional notion of retirement – putting your feet up at a beach in Spain, attending to your allotment and making painfully bad style choices, all the while receiving a steady income from the state – disappear altogether? 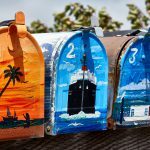 If you’ve lived abroad for a long while but are now thinking of moving back to spend your remaining years in the UK, then you’ll need to pass what’s known as the Habitual Residence Test, finding out whether you’re eligible for a UK State Pension or local hospice care. This can be an irksome task, especially if you feel like the UK really is home. We break down the process. This year’s Royal London Funeral Cost report was interesting. Last year’s focus on the mounting problem of funeral debt has now seen a sharp decline: Royal London reported a 21% fall in the numbers of people experiencing funeral debt from 95,000 in 2017 to 75,000 in 2018. Brilliant news! There’s been a rise in local authority burial and cremation fees, though, and the report also challenges the government to improve the outdated Social Fund funeral payment. It’s inadequate; at the moment it doesn’t cover funeral director’s fees or pay for a coffin, both of which are deemed to be an unnecessary cost. Those who are doing the most to bring cultural change around death and dying are those who are closest to it. Dying people who share their voice and experience, are often regarded as distasteful outliers. Instead of joking about the mundanity of their illness on a popular podcast, they should instead stay in bed. 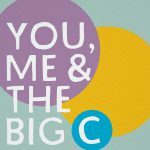 Starting with a blog, then co-hosting the You, Me and the Big C podcast, Rachael Bland was a broadcaster who didn’t let illness define her, but let it become a conversation – with great jokes. Island is a groundbreaking documentary that captures the everyday quality of death, but also its strangeness. In each scene you can feel the filmmaker’s presence, and director Steven Eastwood made sure he established a tight relationship with the folks he followed in the last year of their lives. What’s most interesting is the scene which films the moment Alan, one of five terminally ill people featured, dies. The scene lasts several minutes. It’s a quiet moment, and doesn’t feel exploitative. Instead, it made us think about what the “moment” of death actually might mean. The documentary provides a visual voice that otherwise goes unheard not only in society but on screen. We’re constantly watching deaths in movies that are outlandish, cartoonish or downright implausible. 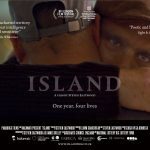 Island might break some taboos and even start conversations around the ethics of documentary making, but it does so thoughtfully and with real depth. The last weeks of September signal darker nights and altogether harsher conditions than we’ve been used to during the UK’s outrageously balmy summer months. After the shock of the first autumn winds, we turned our attention to the harshest places on earth, starting with Antarctica, to try and look a little more positively on our own weather. 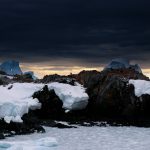 We found a great BBC spotlight that pieces together the history of Antarctica’s dead – the hikers, researchers and scientists who never made it back. Using analyses from scattered bones and transcripts from recovered radio call-outs, the BBC’s new series Frozen Continent looks at the do-or-die conviction needed to reach some of earth’s marvels and the interesting histories that conviction leaves behind. Our broken brollies in the September rain seem quaint. Read the fascinating piece here. Check out the Death Blog next week for more of our favourite death-related bits and pieces. In the meantime, take a look at DEATH.io to start planning ahead.